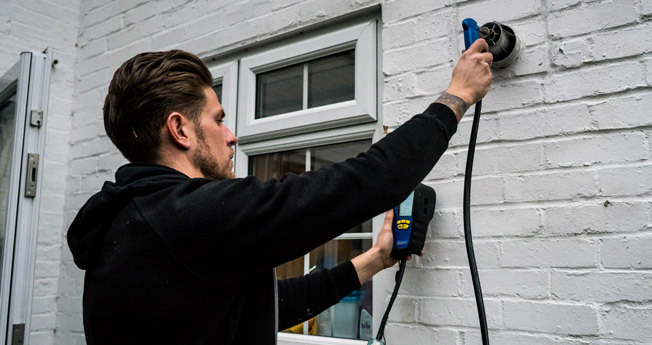 Around 50 people die in the UK each year from the effects of carbon monoxide poisoning, while many others are made seriously ill by this avoidable home hazard. Carbon monoxide is both colourless and odourless and is thus hard to detect. Carbon monoxide can be created and collect in your home due to faulty appliances or poor ventilation. This form of poisoning can be caused by gas, oil or solid fuels being burned incompletely, but it is most commonly associated with faulty or poorly-maintained gas boilers. Where carbon monoxide is present your body will absorb that and eventually be starved of oxygen. This can cause nausea, brain damage or, in extreme cases, death. If you can, then do get your appliances checked on an annual basis. The cold weather coming should warn you to book a Gas Safe registered engineer to give your boiler the once-over. It is always better to be safe than sorry and a simple check of appliances and flues is a worthwhile investment. Many people see gas safety checks as something that are for students or those living in rented accommodation, but faulty appliances and carbon monoxide poisoning don’t discriminate along the lines of how you pay for the place you live in. Buy at least one carbon monoxide alarm or indicator for your home. They usually cost less than £20. Some people assume that their smoke detector will also detect carbon monoxide, but this is not the case for most smoke alarms. If your boiler, fire or any other appliance is burning fuel with a yellow or orange irregular flame, rather than a crisp blue/purple one, then you should call in a qualified engineer immediately. Pilot lights regularly going out, dark marks around appliances and increased condensation are also warning signs. Symptoms of carbon monoxide poisoning include tiredness, nausea, headaches, dry cough or a sore throat. If you think you spot signs of carbon monoxide then open doors and windows and leave the room to get fresh air. Turn off any suspect appliances until they can be checked. Call a doctor if you or others feel ill, or phone 999 if you feel it is an emergency. CO Awareness - run an awareness week around the dangers of carbon monoxide each November. The Katie Haines Memorial Trust - seeks to raise awareness of and offer safety advice around carbon monoxide. The Gas Safe Register - lists safety tips for your home.